Your order will be despatched within 2-4 working days of order payment or on approval of your artwork. This is subject to stock availability and the size of your order. Orders totalling £300 or more (before delivery costs) will benefit from our free delivery offer. This will be shown at the basket page. Orders will be sent via tracked and secure delivery service. We do not charge any set up fees for artwork supplied in a black and white format. 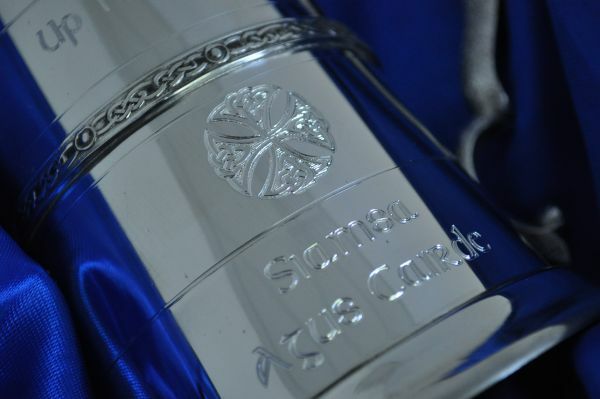 We will engrave directly from the artwork supplied and if in our opinion the clarity of the logo supplied will not produce an acceptable engraving we will advise of any costs prior to proceeding. Please ensure that when supplying black/white artwork it does not include any greyscale or shading. This offer is only available on glass items. 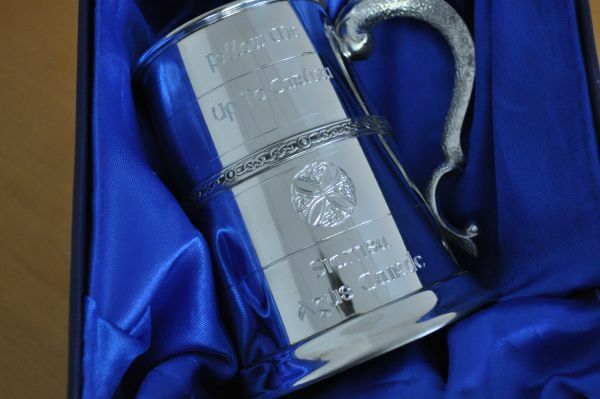 Very happy with the glass and the quality of the engraving, more importantly the person who received it as a gift is really pleased with it. Will be ordering another wine glass soon as another present. 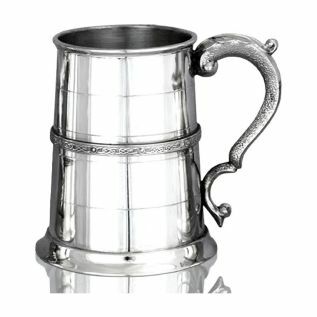 1 pint pewter tankard with celtic band around the middle. Manufactured by the English Pewter Company, the largest manufacturer of pewterware in the UK at its historic factory based in the heart of Sheffield. 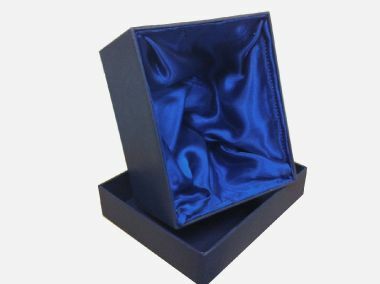 It comes complete with a card box however a silk lined presentation box is available at additional cost. We endeavour to dispatch all orders within 5 to 7 working days of placing your order or on approval of your artwork. If selecting our Fast track service, we aim to dispatch your order within 2-4 workings days. STEP 2 - Would you like a presentation box? STEP 3 - Would you like to see a proof prior to production? Would you like to receive a proof?